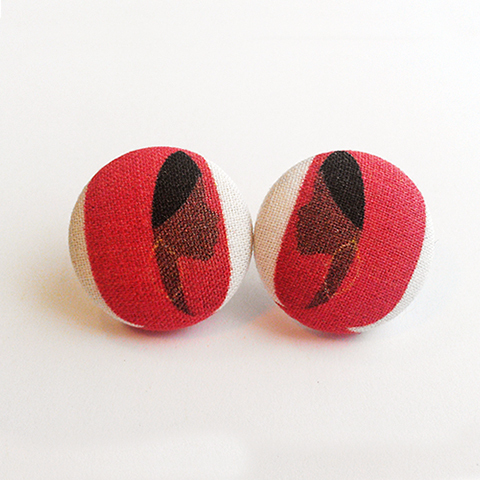 These handmade, brightly colored earring are 7/8 inches across. Printed cotton covers an aluminum base, with nickel-free posts. Bullet backs with plastic pad.